SEOUL, Nov. 1 (Yonhap) — Japanese-American musician Steve Aoki said that K-pop boy band BTS has successfully demonstrated the high potential Asian artists have to the world. “Just like (Chinese-American) actor Bruce Lee ruled the world 50 years ago, BTS broke down the cultural barriers. They represented Asians, while they sang only in the Korean language and demonstrated Asians’ potential,” Aoki said in a written group interview with Korean media outlets, distributed by Sony Music in the Korean language. Aoki said he tremendously enjoyed working with BTS for the third collaboration. 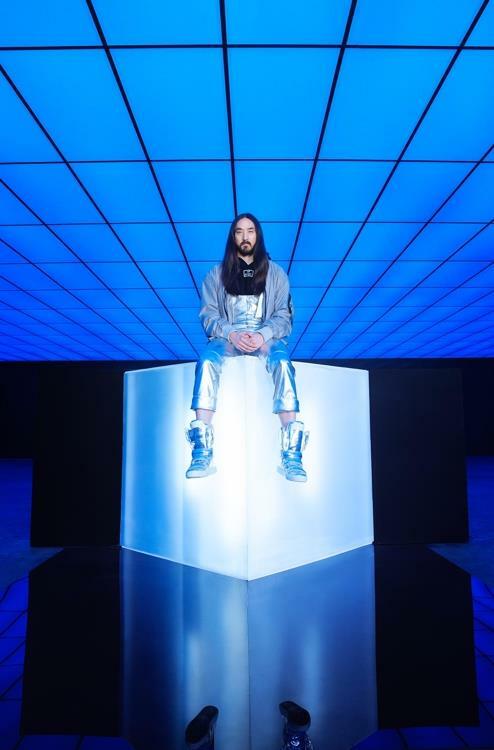 Aoki said it’s “jaw-dropping” to see the success of their first collaboration on “MIC Drop.” BTS’ recently sold-out American and European legs of the “Love Yourself” world tour is an unprecedented record in history, which even English-speaking singers have not been able to achieve, he said. BTS’ sensational success on the globe conjured up hopes and dreams, especially for Asians, that “If you continue to work hard, you can achieve results,” he said. In addition to BTS, the DJ said he also wants to work with other K-pop artists, citing Monsta X and CL among others.